It's what matters to us! Interactive 360° Virtual Tours, Photography and Residential Measurement. iKMS is proud to offer our services in the Calgary area, primarily to the Real Estate, Engineering/Architecture & Construction, Interior Design, Travel & Hospitality industries. Our services can be applied to this diverse set of industries because they all have a common nature. They all deal with space! The designing of space. The building of space. The management and marketing of space or simply the imparting of knowledge of a space. All of this leads us to spatial information. That's where we come in. Our services of Measurement, Documentation, Photography and 3D Virtual capture, record the spatial/dimensional essence of a space, in a package that suits your needs. Today's competitive marketplace calls for the most effective marketing tools and materials. You may need photography that stands out from the crowd with print ready shots. You may need measurements that are accurate and that meet the local standards as established by RECA (Real Estate Council of Alberta) in their latest RMS (Residential Measurement Standards). You may even want to give that little extra boost to your marketing materials with a 3D Virtual tour. 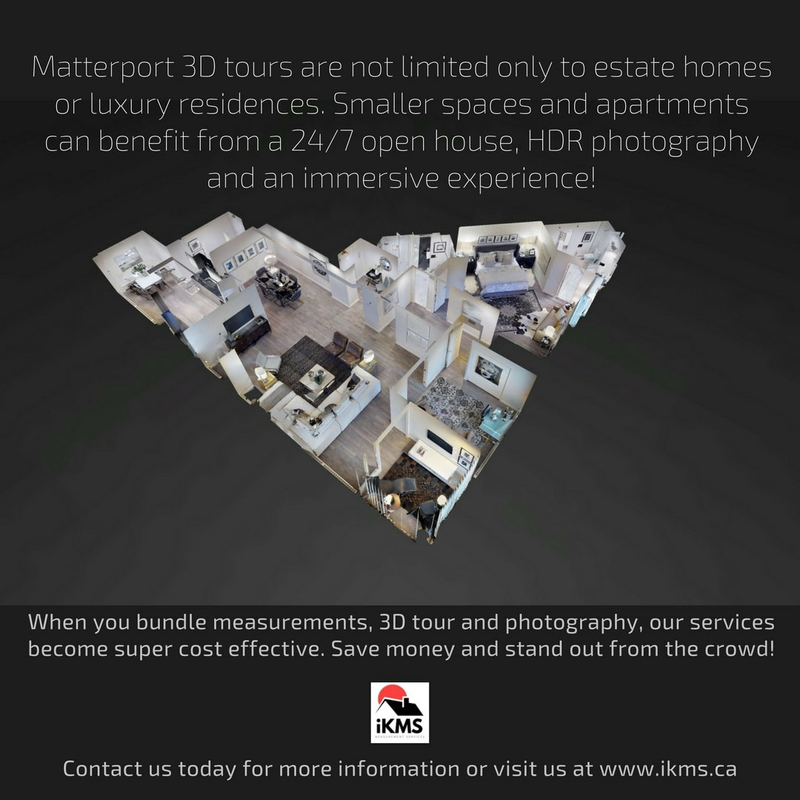 We are a registered Matterport® service provider which allows us to produce industry leading VR and 3D tours, Print-Ready 4K Photography and Floor Plan(s). All delivered to you for use in brokerage files, MLS Listings, your own Web site(s) and print. What we deliver is peace of mind knowing that all our work is Insured for Errors and Omissions along with being executed accurately, creatively and on-time. We think your clients will be impressed with you and that you will be impressed with our professional services and attention to detail. Our team of professional Measuring Technicians Drafters, Photographers and 3D Scan Techs, work closely with our Real Estate Associate clients, to provide accurate RMS Standard measurement reports, along with accurate and reliable floor plans, HDR print and web ready photography, that will help your buyers and quantify and visualize your new listing. We are driven and focused to provide engaging media, accurate data and documents, all with a smile and professional courtesy when interacting with you or your client. All our work is insured for E&O and is performed using quality Laser measuring equipment (Bosch®), Standard CAD platforms (AutoCAD®, REVIT®) and 3D Virtual Reality Scan Cameras (Matterport®) that provide for high resolution, accurate data and documentation that meets both RMS Standards and your marketing requirements. Our field techs are always presentable, on-time and courteous as well as being high quality professionals. If you book a service rest assured we deliver on time and on budget. We save you time, money and worry by delivering top notch deliverables at competitive pricing. You can also rest easy in the knowledge that the work is correct, immersive and alluring. Our turnaround times can be as little as 24 hours ensuring your property listing is up and running as quickly as possible. All of this leaves you with a little more money in your pocket at the end of the day and free to focus on the work of finding new listings, selling properties and advising clients.